In the ancient world of warfare, soldiers would often attempt to creep into the enemy camp, overcome the guards on duty, and then infiltrate arsenals to steal away weapons. When pre-dawn would approach, they would then come with the entire army and massacre their foes, who would only have weapons that they stowed in their own tents, to fight a losing battle because they were deprived of the bulk of their weapons. We must be aware that in the realm of spiritual warfare, the primary weapon in our holy arsenal is the Word of God. Small wonder then that our great enemy, Satan, would seek to enter covertly into the ranks of 'Christian' scholarship and through such liberal theologians that have penetrated our seminaries during the 19th and 20th centuries and wean, then remove God’s Word from us any way they could. I propose that the work of the enemy was indeed accomplished, that is, weaning us off from the full potency of God’s Word as the LORD delivered to the inspired writers of Holy Writ, and providing us with tainted sources. In today’s world we have versions such as New Living Translation, The Message Bible, the Renovare Bible and others that are as far removed from NIV or NASB as these are from the KJV the only biblical manuscript based solely on Textus Receptus. This next part of this article will deal more with Westcott and Hort, and we will provide some documentation about deletions made in the W & H text, then summarize the entire article before we proceed to the next article that continues this thread (from How Eastern Religion Invaded the West and How Near-East Religion Invaded the West), entitled: “The New Emergent Virus-How It’s Infecting the Body of Christ.” and a companion article "Is the Discernment 'Gene" Becoming Recessive in the Body of Christ?" REVISION or REVULSION of the TEXTUS RECEPTUS? Despite the work of such men as Professor Wilson and some others, Westcott and Hort of the Revision committee of 1881 had succeeded not only in getting their remarks and notations in the margins, but in the actual text itself! How many deletions are we talking about? One hundred? Five hundred? One thousand? More like over FIVE THOUSAND DELETIONS from what we now have in the KJV. The REVISED Version has these deletions in the text, and every modern translation such as NIV, NEB and NASB have these same deletions in part or in the whole! Listed below are some of these for your consideration (remember these are deletions found in the Westcott and Hort text, so not all modern translations are going to have all 5,000+ deletions), but collectively, they all will. Feel free to compare your favorite version with these deletions and see if they are deleted there as well. 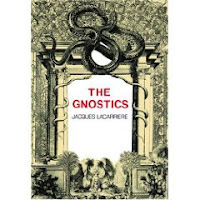 Also be aware of footnotes that may indicate that “this verse is not found in the most ancient of manuscripts” Those most ancient of manuscripts are invariably from the Codex Alexandrius, a known Gnostic text! Matthew 6:13 “And lead us not into temptation but deliver us from evil: [For thine is the kingdom, and the power, and the glory, forever. Amen. ]” Since the Gnostics didn’t believe in the coming Kingdom of Christ, naturally they would delete this portion. Matthew 18:11 “[For the Son of man is come to save that which was lost. ]” This verse is entirely deleted from the W&H text. Matthew 23:14 “[Woe unto you, scribes, Pharisees, hypocrites!] For ye devour widows’ house and for a pretence make long prayer: therefore ye shall receive the greater damnation.” I presume W&H found this rebuke particularly uncomfortable; perhaps that shoe fit them too well? Mark 1:1 “The beginning of the gospel of Jesus Christ, [the Son of God].” W&H didn’t believe in the deity of Jesus Christ, nor did the Gnostics adhere to Jesus being Divine in His own right, but rather merely temporarily endowed with ‘the Christ Spirit’. Mark 2: 17 “When Jesus heard it, he saith unto them, They that are whole have no need of the physician, but they that are sick: I came not to cal the righteous, but sinners [to repentance].” One must wonder what else Jesus would call sinners to BUT repentance, and yet W&H found it necessary to exclude this phrase which is a crucial action in order for salvation to take place! Mark 9:44 “[Where their worm dieth not, and the fire is not quenched. ]” is entirely deleted, for W&H and Gnostics didn’t believe in eternal punishment. Mark 11:26 “[But if ye do not forgive, neither will your Father which is in heaven forgive your trespasses].” This is also entirely deleted. Mark 16:9- end of chapter: This portion that was deleted is the account of the physical Resurrection of Christ Jesus which the Gnostics didn’t believe in, nor did W&H find such a doctrine essential to Christianity (!!!). Incidentally, neither do most Emergent Church leaders, such as Marcus Borg, a member of the Jesus Seminar! "To think that the central meaning of Easter (resurrection) depends on something spectacular happening to Jesus' corpse misses the point of the Easter message and risks trivializing the story. To link Easter primarily to an afterlife, as if our post-death existence depends on God having transformed the corpse of Jesus, is to reduce the story to a politically domesticated yearning for our survival beyond death." Paul the Apostle would disagree with Mr. Borg, according to what he wrote in 1 Cor. 15: 12-23. There it is stated that if Christ is not risen, if in fact there is no resurrection from the dead, then the atonement for our sins was not substantiated, and in fact, no salvation can be offered for the sins of mankind; we are yet in our sins! Luke 2:33 “And [Joseph] and his mother (of Jesus) marveled at those things which were spoken of him.” In the W&H text, it states “And his father and mother . . .” making Joseph the biological father of Jesus Christ, a denial of the virgin birth, as well as a denial of the divinity of Christ, for He is the only begotten of the Father, thus God Himself. Yet W&H denied Christ’s deity! Luke 4:4 “And Jesus answered him saying, It is written, That man shall not live by bread alone, but by [every word of] God.” Mankind is to live by God, but not by every word of God? How are we then to determine the basis of our relationship with God, or to know what He requires of us, or what His provisions for us include? If we have no biblical basis for our relationship with God, if no defined parameters, then ‘anything goes’ and your truth, my truth, our neighbors truth about God are all equally valid, even if they contradict each other! Luke 24:40 “[And when he had thus spoken, he shewed them his hands and his feet].” This also entirely deleted. A proof of the resurrected Christ, crucified on our behalf. John 3:15 “That whosoever believeth in him should [not perish but] have eternal life.” Again the W&H text eliminates any reference to hell or eternal punishment. Acts 8:37 “And Philip said, If thou believest with all thine heart, thou mayest. And he answered and said, I believe [that Jesus Christ is the Son of God].” The verse in its deleted form has the Eunich with whom Philip spoke saying he “believed” but didn’t specify what he believed, leaving the verse in ambiguity. “[And he said, Who art thou, Lord? And the Lord said, I am Jesus whom thou persecutest: [it is] hard for thee to kick against the pricks. And he trembling and astonished said, Lord, what wilt thou have me to do? And the Lord [said] unto him, Arise, and go into the city, and it shall be told thee what thou must do].” Here the resurrected Christ and His dealings with Paul is entirely deleted! Romans 14:9 “For to this end Christ [both] died, [and rose], and revived, that he might be Lord both of the dead and living.” From the W&H text, it could easily be surmised that the 'Swoon theory' is plausible as this rendering has Jesus dying, then "reviv(ing)" which, according the this theory, meant that He didn't die entirely, but when he was laid in the tomb, He revived in three days in a dank, cold tomb, and with hands whose wrists were punched through with 8" spikes, and a body that lost most of its blood, and dehydrated beyond repair, pushed a stone weighing several hundred pounds out of his way, overcame more than a dozen well trained Roman soldiers guarding the tomb (which if they dared fell asleep while on this duty, they could be executed) and fled without being caught . . . can we say "incredulous"? Ephesians 3:9 “And to make all men see what is the fellowship of the mystery, which from the beginning of the world hath been hid on God, who created all things [by Jesus Christ]:” Obviously deleting the truth that Jesus was in fact co-Creator with the Father. W&H won’t have much credence with their edited form of ‘truth’ on that day when Christ Jesus is glorified and every knee will bow before Him (including theirs!!) when He comes into His Kingdom. Incidentally both Romans 14:11 and Philippians 2:10 refer to every knee bowing before Jesus Christ, and tongues confessing His Lordship to the glory of God the Father, and both verses echo the same truth as found in the Old Testament in regards to the Almighty, in Isaiah 45:23. Ergo, Jesus is indeed the Almighty. Even in the C.A. it states “…God was manifested (using the Greek word ‘theos’)” but W&H took it upon themselves to translate it thusly: “…He was manifested in the flesh” which comprises another blatant violation of Holy Truth! 1 Peter 1:22 “Seeing ye have purified your souls in obeying the truth [through the Spirit] unto unfeigned love of the brethren, see that ye love one another with a pure heart fervently.” Denying the proper role of the Spirit of God in this passage would deny the Christian of the power to live a godly, spiritual life to begin with. This entire passage is deleted in W&H, and based on the Codex Alexandrius we can see why; both the Gnostics and these liberal theologians didn’t believe in the deity of Christ, so they purposely adhered to the C.A. as the more reliable source even though over 5000 other manuscript fragments affirmed that this passage belonged in the text, including T.R. This concludes the segment on Westcott and Hort’s textual deletions from the Holy Scriptures as established by Textus Receptus, and their blatant violation of biblical truth by utilizing Gnostic-infested manuscripts such as Codices Alexandrius, Sinaiaticus, and Vaticanus. For your own consideration here are some books you might like to read and investigate further this issue, comparing KJV and its modern translation counterparts with the Textus Receptus vs. the Codices A, S and V.
God Wrote Only One Bible by Jaspar Ray. While you may have some difficulty finding these titles in your Christian book store, as they are mostly out of print, I searched Amazon.com and found these same books for sale, for the most part, at very reasonable prices. In closing let me say I firmly believe that we Christians need to remain steadfast in our support of, and adherence to the best, most accurate Bible that has ever been produced, the King James version. This is not to say that this version is not without errors, but because of the fact that this translation is well over 400 yrs old, its had more than four centuries of scholarship to review it and study its source text, and determine where any such errors are located, and they have all been documented (and number very few compared to modern translations, by the way!). One doesn't tamper with God's Holy Word! If God gave the Word in a certain way, He intended it to be reproduced that way, if we are to remain faithful to Him, and the Truth. The Truth is the valiant weapon all Christians possess to combat the Enemy and his lies and deceptions; and remember that a lie can be as powerful as the Truth IF IT IS BELIEVED! This is why the Bible is, and must be the ultimate authority as the singular, exclusive source for God's Truth, and all spiritual beliefs, assertions, dogmas and doctrines must be held up to its Holy Light to prove it as valid or invalid. The spiritual life of the church depends on this bedrock foundation which is God's Word, and any saint imperiled by encroaching deceptions and spiritual compromise that is rapidly spreading throughout this land, must avail themselves to the scriptures before they are overtaken by such! It is my sincere prayer that any who reads this (and related) articles will consider these assertions, investigate them for themselves and petition the LORD to lead them to the Truth! May the LORD Jesus Christ bless you all . . . WAY TOO MUCH!